International Journal of Research in Education (IJRE) is an international, peer-reviewed journal in English published biannually by Oasis International Journals. IJRE is an indispensable resource for Arts and Social Science researchers. International Journal of Research in Education (IJRE) publishes scholarly empirical, theoretical, and review articles that covers education. Papers submitted should follow the International Journal Research in Education authors’ guideline and not be under concurrent consideration at another journal. 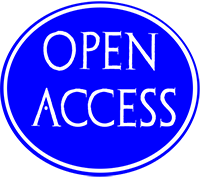 This is an open access journal which means that all the content is freely available without charge to the user or his/her institution. Users are allowed to read, download, copy, print, search, or link to the full texts of the articles for their personal use, and/or use them for any other lawful purpose, without asking prior permission from the publisher or the author. This is in accordance with the BOAI definition of open access. Be a member of Oasis International Researchers Forum. A team that promote education globally, innovative ideas among academia, organize conferences, workshop and seminars where findings from various research conferences, workshop and seminars where findings from various research studies will be intellectually discussed as well as encourage young researchers in their various field of studies.